HTML or the Hypertext Markup Language has been used for many years for presenting any content for the World Wide Web. This is being used as a substitute for a programming language which is often complicated to use. While HTML5 video is the draft feature that is being used to represent a various video element for playing movies and videos online. It is currently being adopted by many websites because it can be utilized easily without the help of some plugins, which the old HTML requires. Aside from that, this video element works great with every browser, especially the top one’s such as IE, Chrome, Firefox, Safari, and Opera. Moreover, HTML5 videos are compatible with various file formats such as MP4, WebM, Ogv, H.264, etc.. Some of the popular video hosting sites that use HTML video includes, YouTube, DailyMotion, and Vimeo. There are a lot of ways to download videos from the internet with the use of the old HTML4 that uses plugins. But with the launch of the new HTML5 videos, the system is modified, which makes impossible for the old video downloader to grab any video as they easily do before. However, we are still lucky since they are still some better ways to download html5 video from the internet. Here I’ll show to you the two top methods of grabbing videos even in an HTML5 video player. Look for a video to grab and copy the its URL. 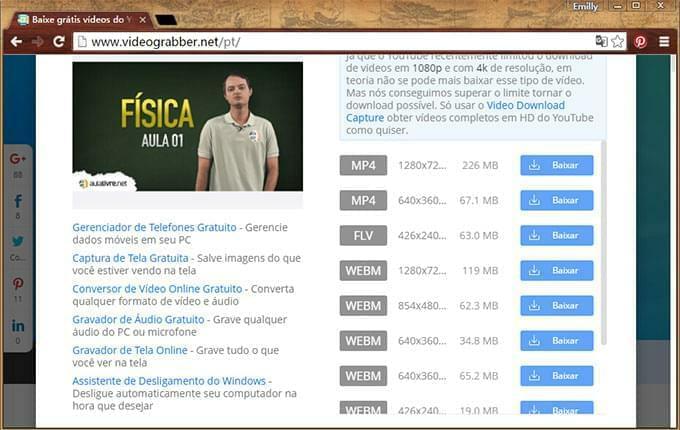 Launch the Video Grabber and paste the chosen URL into the box provided. Click Download and it will process instantly. You’d have to download and install a Launcher provided by this site the first time you using it. This program also boosts other features, such as a Video to MP3 download, Video Converter, and Screen Recorder. The second best way to download html5 videos from YouTube and other HTML5 video hosting site is by the use of an advance program which is the Video Download Capture. This program is the most accurate and reliable video downloader that is fit to perform in spite of the new HTML advancement. Using this program, all you need to do is to follow these simple steps. 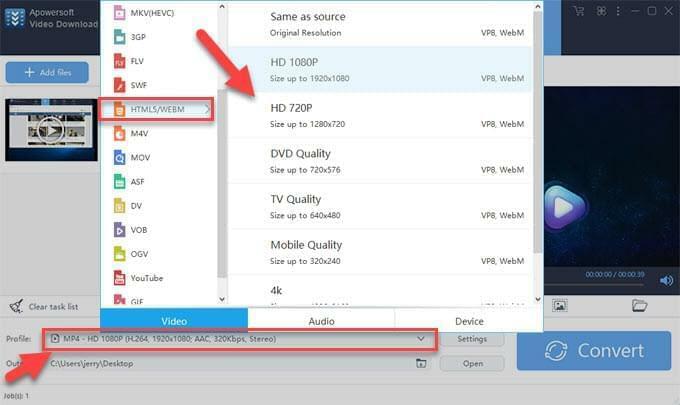 Open Video Download Capture and enable the Video Detector option. Browse the video that you desire and it will be automatically downloaded. You can also add the URL of your preferred video to the program and hit Download. It’s not a problem to grab those HTML5 supported videos with the help of this downloader. In a sense, it can be called html5 video downloader. Furthermore, it also has an added features that are beneficial such as an HTML5 compatible converter, editor, and a player. Which is necessary if you want to upload video to websites using HTML5 video. HTML5 video is the current trend in video hosting and sharing. And in an event that you wish to tag a video into your webpage, all you need to do is to add a simple <video> element that you want. However, in tagging <video> you need to consider a lot of options for parameter such as source, height, controls, and so forth. To understand the process clearly you can visit the Microsoft.com’s web post regarding html5 video tag. Rating: 4.3 / 5 (based on 43 ratings) Thanks for your rating!